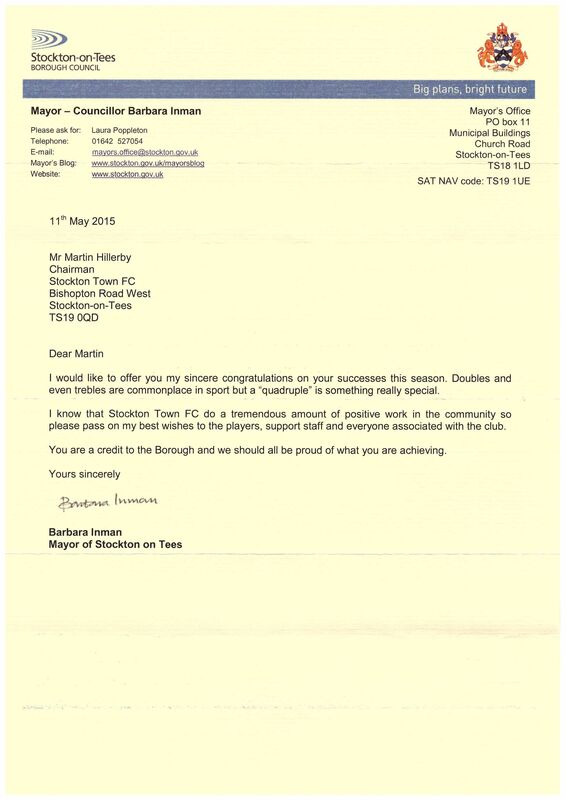 Our Club has has received a letter from the Town’s Mayor in recognition of our 1st Team’s remarkable achievements during last Season. As you will know the Club won not only the Wearside League Title but the Wearside League Cup, Monkwearmouth Cup and the Shipowners Cup last season. It is pleasing to know that our success is being recognised in the Town.